The sun has set. The hour of darkness encroaches. 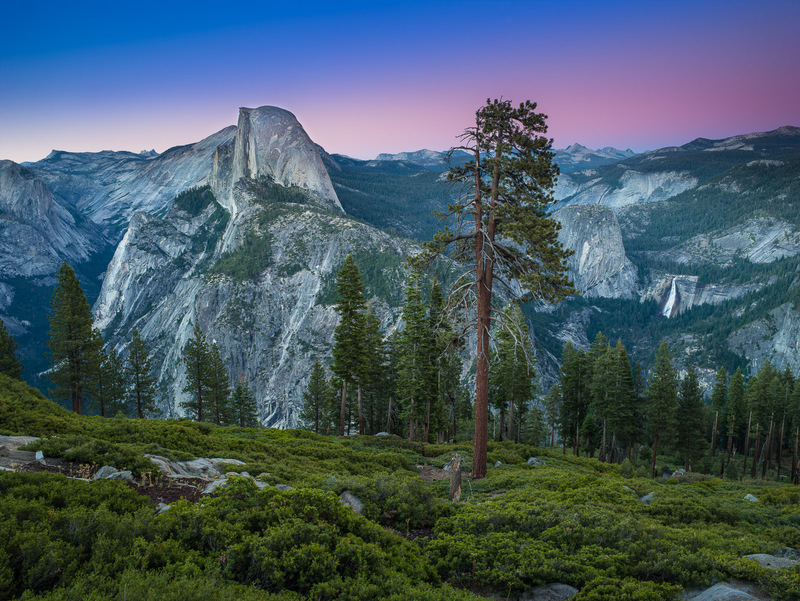 A single tree stands watch of Half Dome. Photo © copyright by Lance B. Carter.